Download Witchblade The Series in Digital HD from the iTunes store. Witchblade The Series images are © Warner Bros.. All Rights Reserved. Back in 2000, Turner Network Television created an adaptation of the Top Cow comic book, Witchblade. 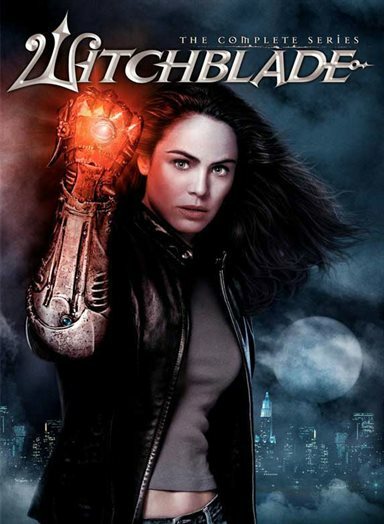 Witchblade is the story of a New York detective, Sara "Pez" Pezzini (Yancy Butler), whose search for justice brings her into contact with the Witchblade -- an ancient, intelligent, living weapon so powerful it can battle Earth's darkest evil forces. Week in and week out, "Pez" employs her skills as a police detective to fight crime. She finds she must employ the Witchblade to combat a much greater and more frightening organized conspiracy of evil that threatens the very soul of humanity. As Sara tries to keep the secret of the Witchblade, do her job and have a personal life, she finds that her most formidable adversary may be the Witchblade itself. Now after being off the air and unavailable on DVD for the past five years, Warner Brothers Home brings the entire Witchblade Series together on a seven disc set for everyone to relive the Witchblade again. After its initial television pilot, Witchblade became a series in 2001. The first season of Witchblade (contained on Discs one through four) is a pretty straightforward show. Each new show, Sara learns more about her past, the powers of the Witchblade, and the corruption that faces her hometown of New York. The first season is simply amazing. From the amazing cast, to the superb writing, one can defiantly tell the television show is here to stay…even the last few seconds of Transcendence which will have you scratching your head on what will happen next. Season two of Witchblade (contained on Discs four through seven) takes a different approach in telling the story. To tell much more would spoil it for the first time view of the show; however, it looks like the producers really went for a reboot of the series, rather than taking a very bold move as the end of season one suggested. The main cast of Witchblade is top notch, with such shining stars as Yancy Butler, Will Yun Lee, and John Hensley. The sets are built like they were created a for a large scale Hollywood film, and the "world" that "Witchblade" inhabits feels like it could exist and does not have any cartoonish aspects to it that sometimes plague the comic book genre. Most of the extras are saved for disc seven of the set -- saved for the occasional "Gabriel's Philosophical Insights" which serves as a quick recap for viewers to catch up on some of the shows. 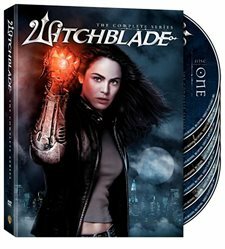 The seventh disc contains two small featurettes on the creation of the Witchblade series, from Top Crow comics, producers, crew, and actors. Also included are the original casting sessions for the series leads. All-in-all, Witchblade is a very entertaining, enjoyable show, that ended it's television run a little too early. If you are the casual viewer of the show or a die-hard fan, then this is the Witchblade DVD set for you. Check out the official site at www.witchbladedvd.com.